We are a diverse network of qualified and experienced counsellors and psychotherapists. We offer a wide range of counselling and psychotherapy services across south London. We provide a range of services from short-term counselling to long-term psychotherapy. We offer different types of therapeutic approaches to suit your needs. Any one of us is happy to talk to you about whatever is worrying you. Please have a look at our Therapists section and see which counsellor or psychotherapist you think will suit you best. Contact the therapist and they will get back to you to arrange a time convenient to meet up to discuss your needs and suggest options. Welcome to the South London Counselling and Psychotherapy Service - SLCPS. 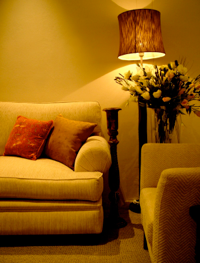 We are a small team of experienced counsellors and psychotherapists based in south London. We come from a wide range of cultural backgrounds and met through living and working in the south London area. Our therapists have trained in a variety of counselling and psychotherapy models, and are each registered or accredited by either UKCP (United Kingdom Council for Psychotherapy) or BACP (British Association for Counselling and Psychotherapy). Abuse, anxiety, anger, bereavement, depression and post-natal depression, fertility issues, life changes, low self-esteem, miscarriage, panic attacks, psychosexual difficulties, relationship issues, stress, work-related issues (such as redundancy). Cindy has experience working with a range of people from different social, economic and culturally diverse backgrounds. She has worked as an NHS counsellor with several GP surgeries in South London, as well as a school counsellor. 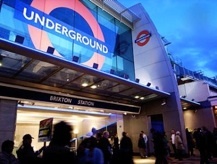 Her counselling and psychotherapy practice is based in the Brixton area. Allan is a Psychoanalytic Psychotherapist with over 9 years' experience, having worked with individuals and groups both in the NHS and in private practice. He also offers psychotherapy services in Portuguese and Spanish. Allan’s psychotherapy practice is based in the City (EC1). Sally is an experienced Psychoanalytic Psychotherapist and Dramatherapist with over 15 years of helping people from a range of backgrounds in the NHS, voluntary sectors and secure settings. She offers individual and group counselling and psychotherapy services in Bethnal Green. Dorinda has an MA in Core Process Psychotherapy (CPP) from the Karuna Institute in Devon. CPP is a contemporary approach based on Buddhist mindfulness practice and Western psychology. It recognises that at the core of our being we are inherently whole and healthy. Dorinda's work is supported by a long-standing Zen Buddhist meditation practice. As well as seeing clients privately, she has worked as a counsellor with Mind in Camden’s Minor Tranquiliser Project. Dorinda’s private practice is based in central London (Pimlico and Waterloo). Rodger has been working as an individual and group therapist for over 20 years with people presenting a variety of emotional, relationship and identity problems. He provides both short term and long term therapy. His counselling and psychotherapy practice is based in Brixton. How can SLCPS help you?